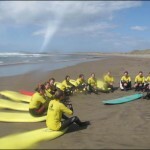 Ireland’s leading Surf School, Perfect Day based in Strandhill, Sligo caters for the needs of all surfers. 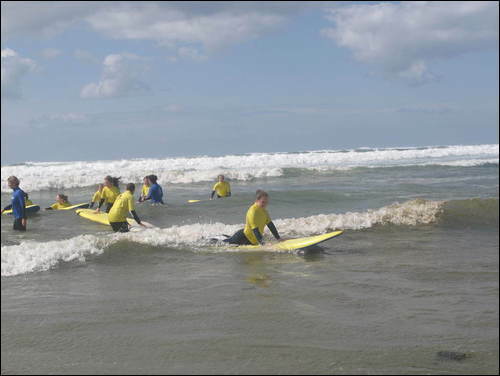 Whether you are a beginner or an advanced surfer, young or old we can help your surfing progress. 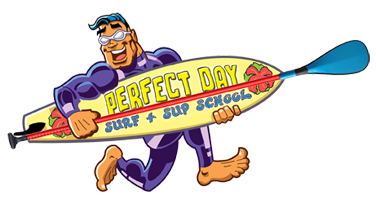 Perfect Day Surf School was established in 1998 by Tom and Simone Hickey. 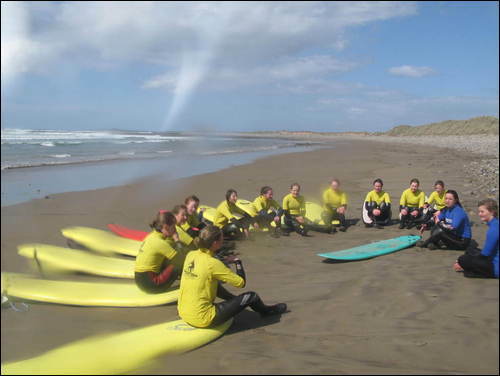 Tom, former director of coaching for the Irish Surfing Association and former National Irish Surf Team Coach has over 38 years surfing experience. 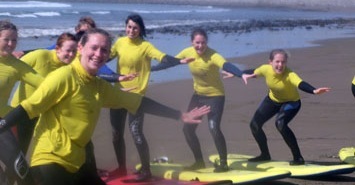 Perfect Day Surf School is now run by daughter Elisha who has been surfing since childhood. 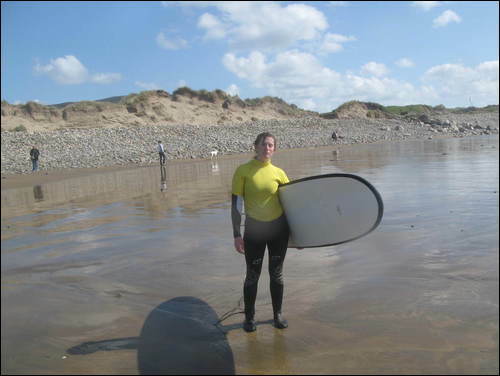 Elisha was Irish National Junior Surfing Champion in 2005 and again and 2006, and is a student of Marine Science at National University of Ireland Galway, where she received a 2008/2009 sports award for surfing. 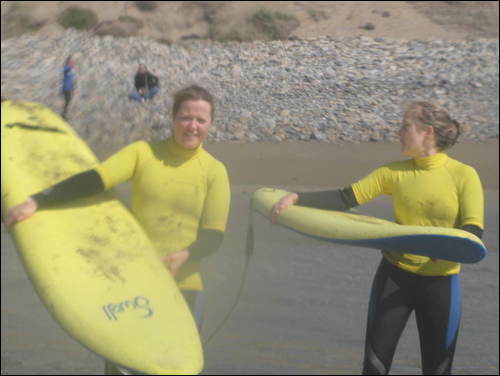 Elisha, a member of the Irish National Surf Squad has temporarily stepped back from competing to concentrate on coaching in the surf school in Strandhill. 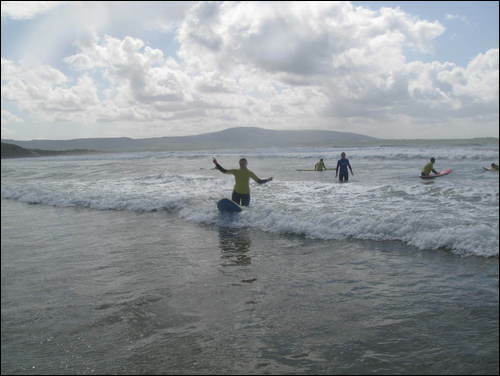 Strandhill is one of Ireland’s West Coast gems. 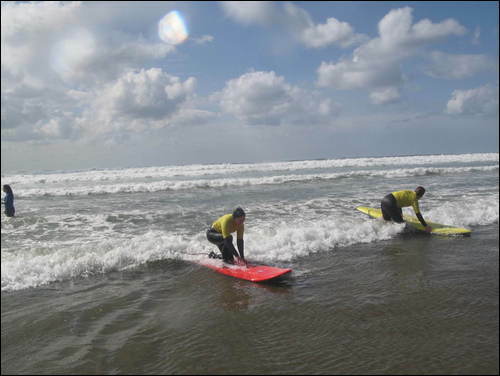 It is a predominantly sand-bottom beach break but for the more experienced, there is a rocky right-hand point break at the north end of the beach. 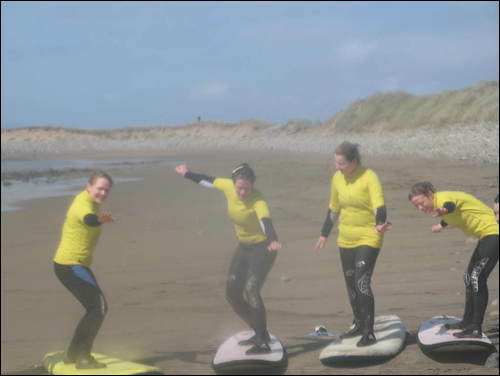 It’s exposed westerly facing coast makes Strandhill a serious swell magnet attracting all sorts of wave riders, beginners to advanced, from all over the country and overseas. Call 087 20 29 399 / 087 28 97 462 to book now ! 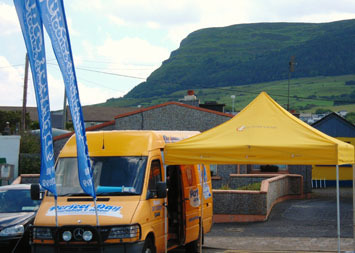 I last had a lesson with Perfect Day in 2006 and wanted to make sure that I was booked in with them again. My two girlfriends and I had two great lessons with Ross, who was so patient and informative. 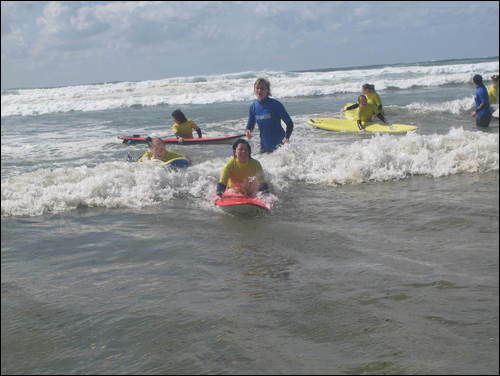 We were of varying abilities and the sea got a little rough on the second day but we never felt uncomfortable or out of our depth. A great experience that we would all love to repeat.